Growing up, there was a single lady that lived across the street who was a successful professional. 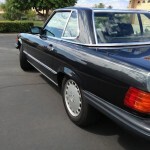 She went through a lot of cars, and one day she decided to trade in her BMW 635CSi for a car identical to what you see here, a black on black 1989 Mercedes-560SL. In the eighties, this was not a car for shrinking violets. 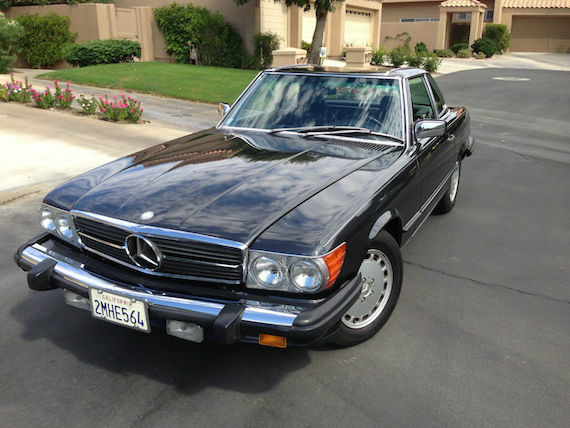 Few cars said you arrived better than this SL, even if 1989 was the final year this legendary drop top was to be seen in the Mercedes lineup. 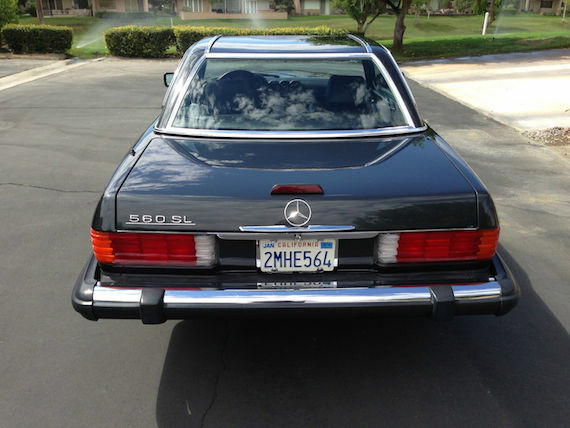 I’ve lusted after these roadsters all of my life, and this low mileage example for sale in California brings back great memories of sitting in that car as a child. 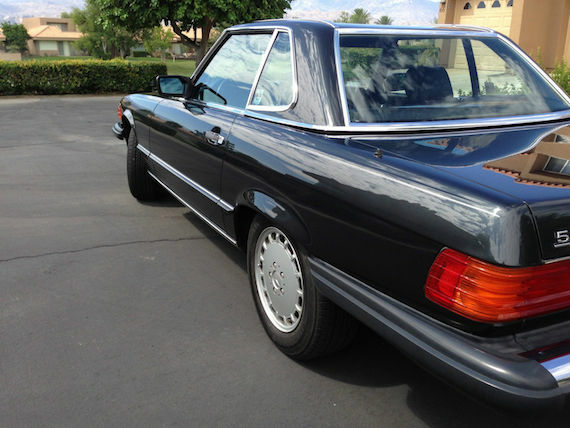 Submitted for your consideration is this stunning 1989 560SL. This is the last year for the R107 body type. 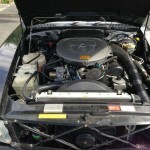 This car was purchased new in Northridge, CA in 1989 and has spent its entire life in the mild climate of Southern California. I purchased this car from the original owner in 2006 with 29,000 miles on it. Since then it has been driven regularly but sparingly. It has never been in an accident, and everything on the car is ORIGINAL. I have the original window sticker. 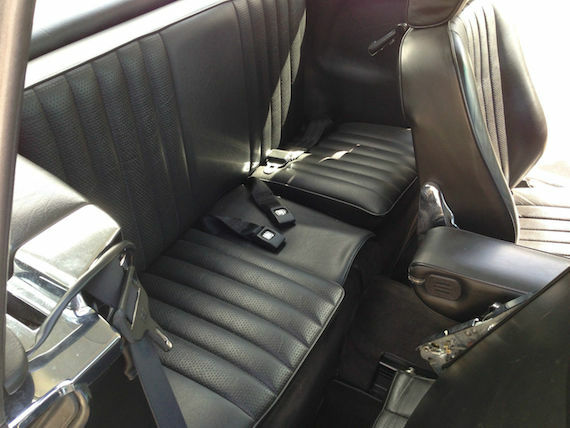 The interior is silky smooth leather with no cracks, marks, or tears. 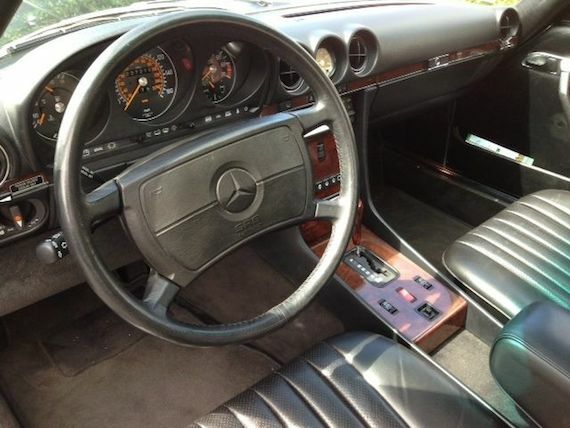 The dash is pristine. 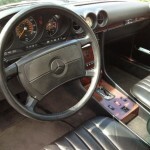 All equipment (Becker stereo, lights, gauges, etc) are in perfect working condition. 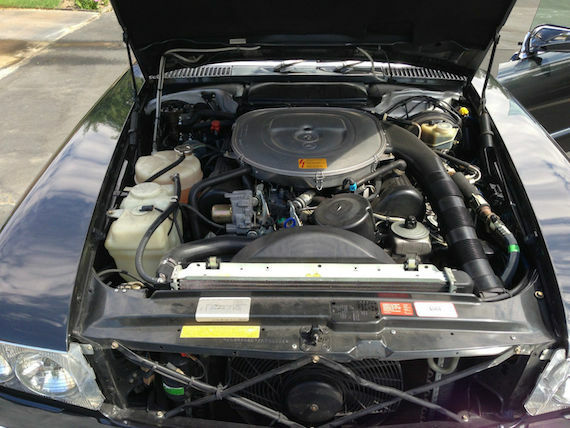 The car drives strong and accelerates like a beast consistent with the high torque V8 engine. 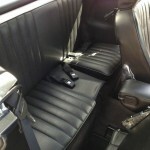 The only modification is the rear rumble seat, which can be removed by the new owner if so desired. 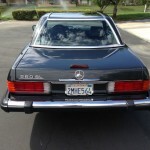 The car comes with the hard top, as pictured. The soft top is also original and in excellent condition. I have all books, records, and all keys (including the factory valet key). I also have the gold Mercedes key chain given to the original buyer as a gift in 1989. This car is the REAL DEAL! Only serious buyers are advised to bid. I will not accept nor respond to wholesalers, tire-kickers, or flippers looking for a fast buck. Only a true collector will appreciate the value of this car. Local inspections are welcome. The car is in Palm Desert, CA. The buyer is responsible for shipping and all other transport issues. The car is sold as-is with no warranty, exchange, or refunds offered. Lately, it seems R107s have gotten a little wind under their sails in terms of value, with good, late model examples stretching into the $20k range with the very best cresting the $30,000 mark. I’d suspect this one might bring somewhere in the low to mid $20,000 range. 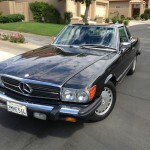 Tagged 1989, 560SL, Convertible, Mercedes Benz, R107, Revisit, Roadster. This is the car that solidified my respect for German automobiles, the kick down into third at highway speeds followed by the wave of torque is highly respectable even by todays standards. 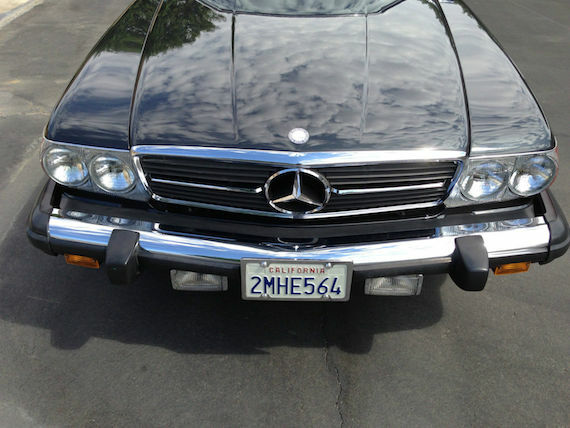 Mercedes was truly a “coachbuilder” at the time of this cars construction, this is not a disposable appliance.